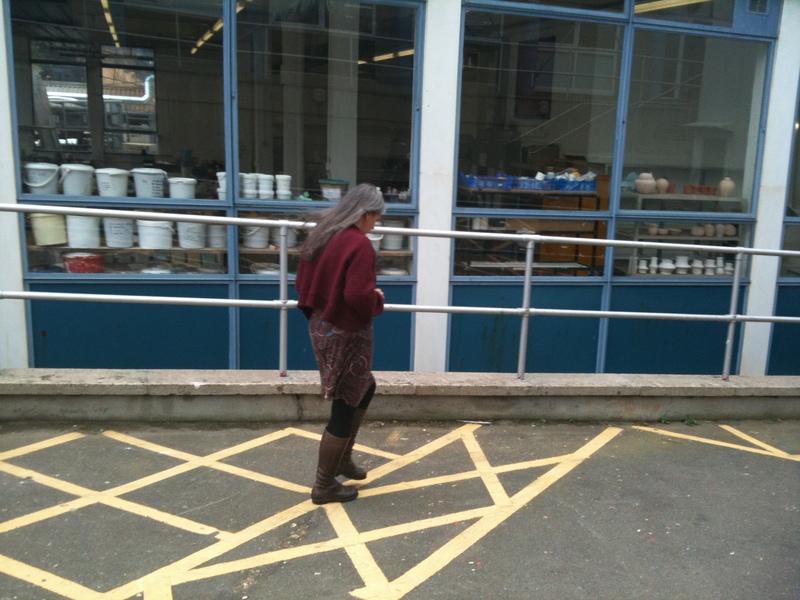 In September 2011 we presented a walking lecture in and around Plymouth College of Art, a modernist building in the centre of the city. Built in the 1950s and redeveloped several times since, the building is Plymouth in microcosm – a modernist structure that all too often seeks to hide behind facades and cladding. The building’s spaces and traces were explored using methods lifted from UrBex, loitering and drifting; a methodology of walking/re-walking with camera was employed to glean real and imagined narratives from the site. Close readings of the tensions inherent within this very particular urban landscape reveal palimpsest narratives that talk of decisions made and abandoned before completion. In the talk at Environmental Utterance we discussed our project Spacewalk and how we question, through walking, ways in which these spaces are read as arts spaces, spaces of education, and places of play. With a strong reference to Robert Smithson’s Hotel Palenque running through our talk, we demonstrated through film and photographic slides our process and how our work crosses academic and artistic lines.